1. Start with a pile of fresh, washed kale that has been stripped from the stems. Save the stems for soup or stir fry. 2. 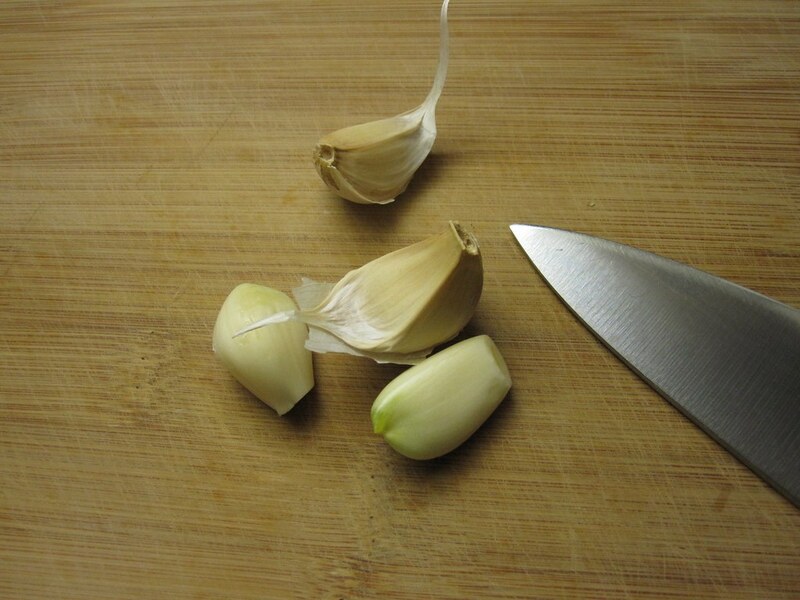 Peel and trim 4-6 cloves of garlic. 4. Add 1/4 C. of extra-virgin olive oil, garlic and cheese and lemon juice (if using) and process again until it all reaches a similar consistency - but not long enough to make a funky nut butter consistency. 5. Blanch: Toss kale into 2 quarts of salted water that has reached a rolling boil. Continue cooking until water returns to boiling and kale has softened a bit. 6. 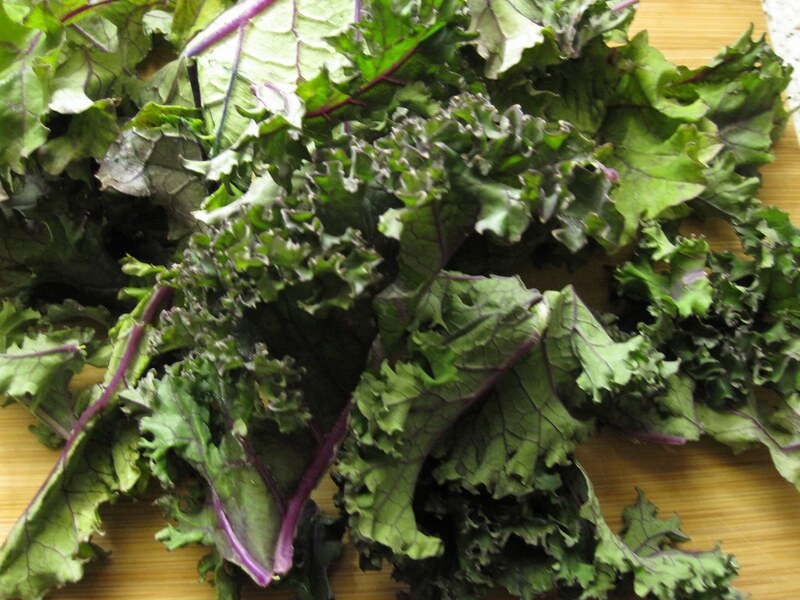 Refresh: Move the kale from the pot to a colander and rinse with cold water until greens are cool to the touch. Using your hands, squeeze the water from the kale and place into the food processor. 7. Process once more until it looks like pesto, adding more olive oil for consistency, and salt and pepper to taste. 8. Serve as a pasta accessory (natch) or as a sandwich condiment, zingy dip for vegetables, or any way you add an earthy, garlicy, nutty flavor to something. Enjoy! Started to make a recipe tonight, and realized i was missing things i needed for it after i had cut the kale from my garden. i wondered if i could make a kale pesto, but wasnt sure. This was the first thing that came up from my google search. Its funny because, me, my husband, my brother, and friends have been at 6 different farm aids, but missed this years. less than a week after missing the concert, i am reminded of it with this. Its nice that things that remind me of farm aid is still popping up, gotta make sure we make it to next years. Being Italian, I am a big fan of the traditional pesto but this sounds scrumptious. Kale is one of my favorite greens along with swiss chard, endive, escarole, etc. I typically saute kale with garlic & olive oil or juice it but thanks to you I now have a great alternative to add this sauce to homemade pasta. Thanks~!